Grew Up… in Jawbone, Kentucky, with his mother Katherine Plimpton. As a youngster, Ned collected and cataloged amphibians, reptiles, and insects. One of his heroes was oceanographer Steve Zissou, and he was a Blue Star Cadet in the Zissou Society. He planned to be an oceanographer himself when he grew up, and if not that, an architect or a pilot. Visiting… Steve Zissou’s submarine, the Belafonte. When his mother dies, Ned sets out in search of the man he believes is his father: Steve Zissou. He tracks down Zissou at the premiere of one Zissou’s films in Italy and gets his hero to let him tag along. Profession… pilot for Air Kentucky. At Zissou’s request, he takes a leave from his Air Kentucky job and joins Team Zissou, where he is made the junior-grade diving tech and executive producer. With the help of his inheritance, he is the primary financier of this particular Zissou expedition. Interests… bioluminescent electric jellyfish, maintaining his immaculate mustache, designing insignias, hanging out with Jane and listening to her read books to her unborn baby. There’s not much else to do when you’re out at sea. Relationship Status… single. 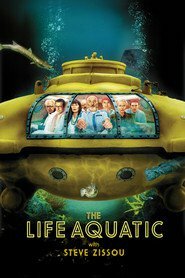 Ned arrives on Team Zissou a bachelor, but he soon meets an attractive and pregnant reporter named Jane, and he and Zissou briefly jockey for her attention. Ned is quite tender; he plans to give her his sand dollar necklace strung with peppermint floss in order to win her heart. Ned Plimpton's popularity ranking on CharacTour is #4844 out of 5,000+ characters. See our top-ranked characters and read their profiles.